DIAGNOSE – Our process starts by listening to you. Identifying and prioritizing your goals and values will give you the desire and power to work towards achieving your goals. "Live your life by design, not by default." ANALYZE – With the information you’ve shared with me, I’ll study and analyze it; I’ll develop, model and test various ways to address your objectives; always seeking strategies tailored to your needs. PRESCRIBE – I will explain my findings and present recommendations to you in plain, simple English, no technical jargon, and when we reach an agreement and put our recommendations into effect, we will do so in an independent, objective, and unbiased manner, always mindful of controlling costs and expenses. 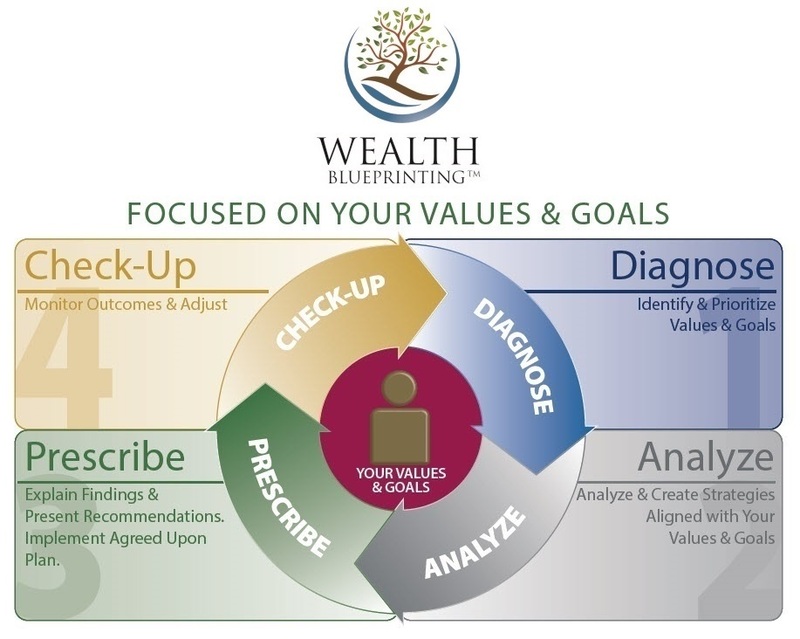 CHECK-UP - We will continually monitor your progress and make adjustments as needed. Obtaining, growing and preserving wealth is about much more than money. True and lasting wealth is all that money can't buy and death can't take away.